Corn and basil. The proverbial marriage made in heaven. Local corn isn’t quite ready to participate in the July 4’th celebrations, but the markets are importing enough to add to the fun. 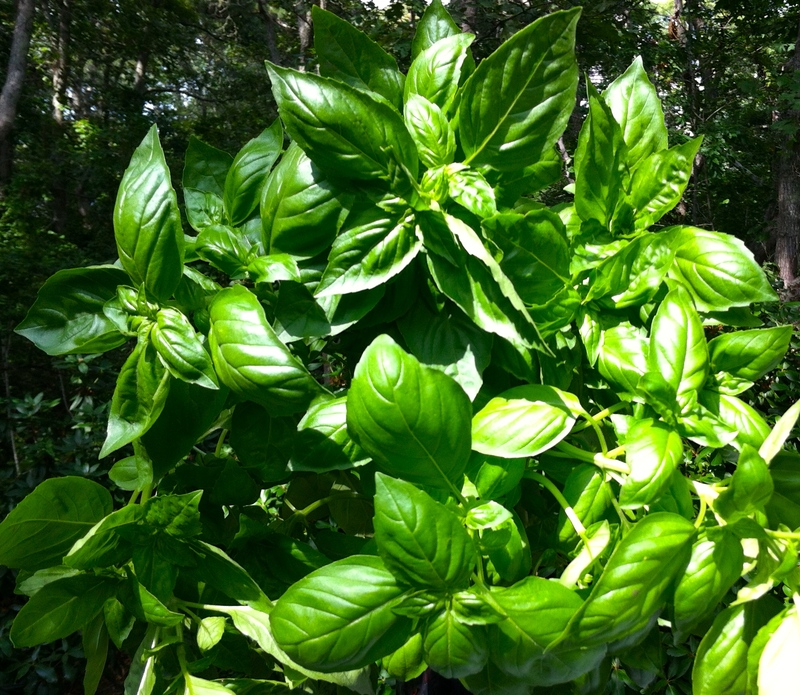 The basil, however, is local and lush! Funny how particular foods need to appear at certain holidays. Cranberries for Thanksgiving. Hamburgers, hotdogs, and corn for the 4’th. Corn on the cob is great, but if you’re hosting a crowd or taking a dish to someone else’s cookout, this fresh corn salad happily answers the need without the fuss. This corn salad has become such a staple around here that I almost forgot to credit Ina Garten for the initial idea. I like to use vidalia onion. Her recipe uses red onion. Other than that, it’s pretty true to the original. Easy to double for a large group. 1. Crisp cook (about 3 minutes in boiling water) the corn. Cool down quickly in cold water. 2. 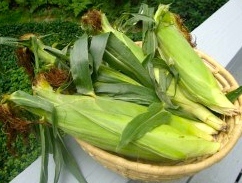 Cut the kernels from the cooled corn. 3. Stir the oil, vinegar, salt and pepper into the corn. 4. Add the basil just before serving. 5. Serve cold or at room temperature.